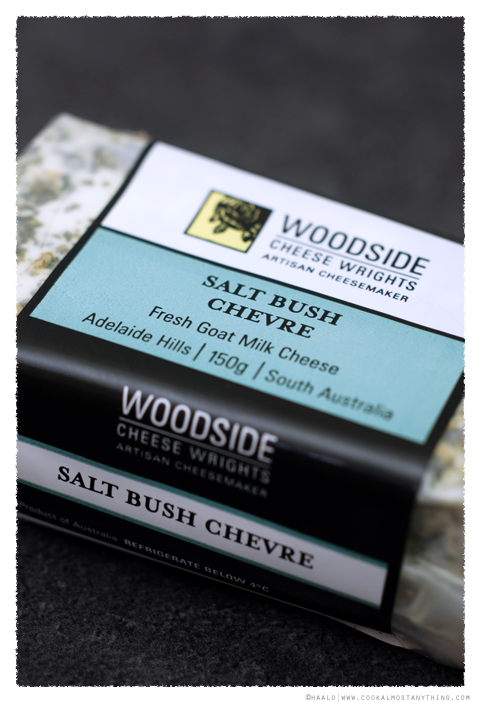 For our next cheese it's a long overdue visit to South Australia and in particular Woodside Cheese Wrights to try their new (to me) Salt Bush Chevre. It's become more common these days to see saltbush associated as feed for sheep so I was naturally quite intrigued to see it used as a coating for chevre. 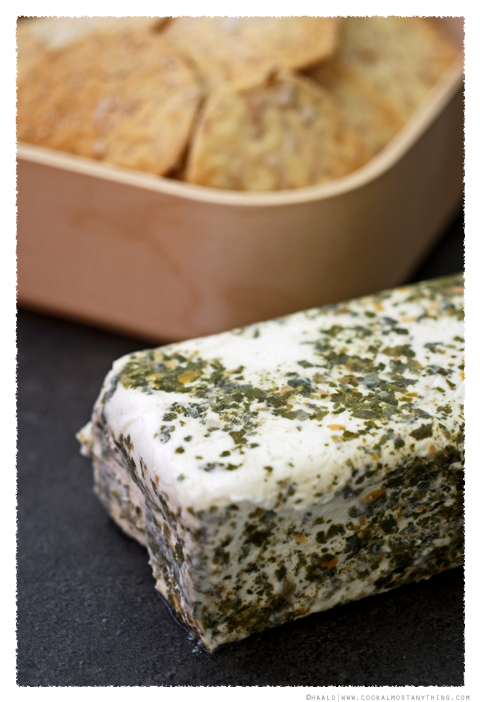 The milk is batch pasteurised and the cheese made using non-animal rennet and sets during a slow overnight process. The salt bush is sourced from South Australia. 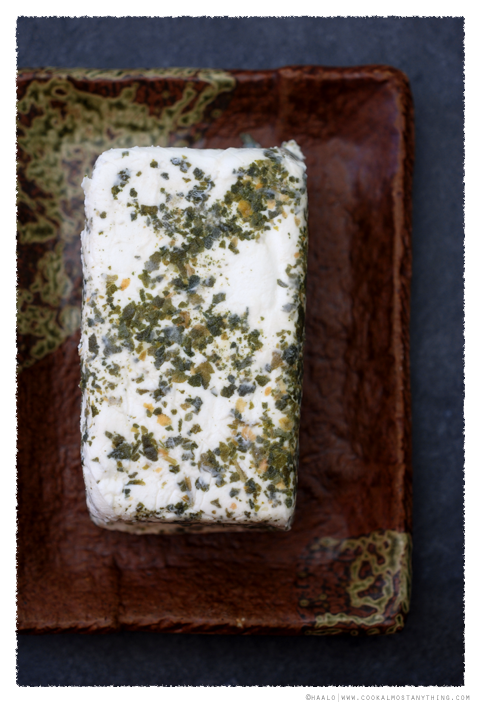 This is a fresh cheese - there's no skin formation - fairly moist and soft to the touch. It cuts, with a tendency to crumble but spreads very easily. 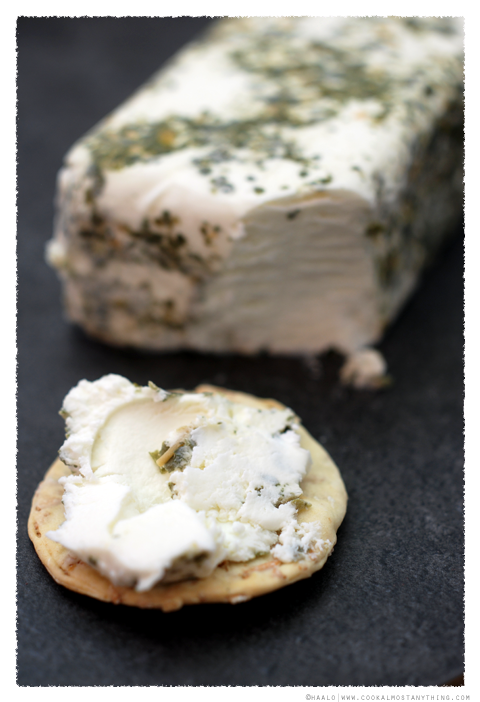 The taste is quite clean - not overly salted, citrus flavours from the cheese with grassy notes from the salt bush.